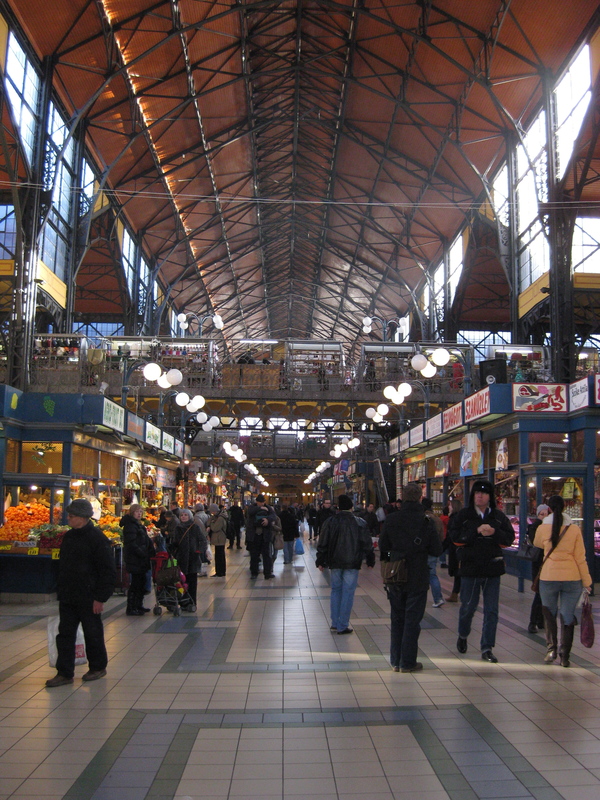 The Central Market has been held here in the Vásárcsarnok since 1896. It’s a great place to get ingredients that are hard to find elsewhere, like parmesan cheese and non-cabbage vegetables. They also sell beef, unlike most supermarkets. 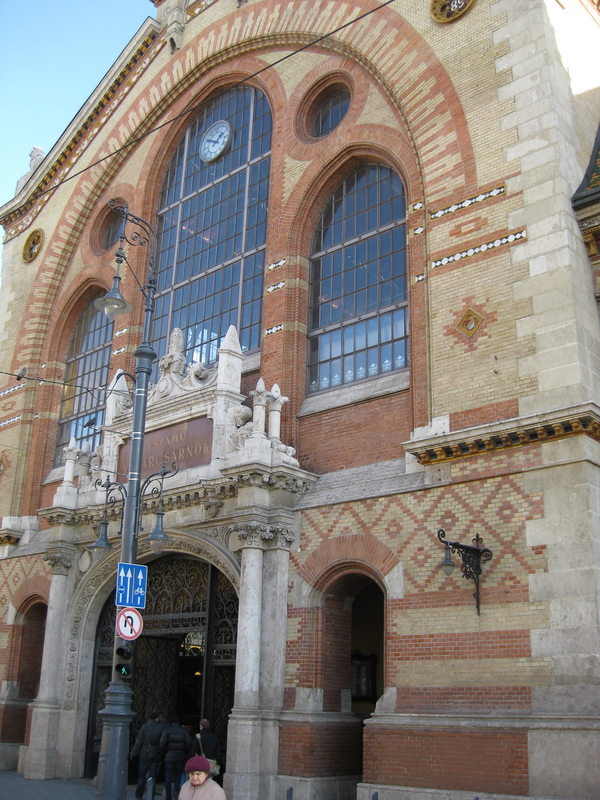 Szabadság híd was built at the same time as the market. It crosses the Duna just meters from the entrance to the Vásárcsarnok, and is this lovely green color. 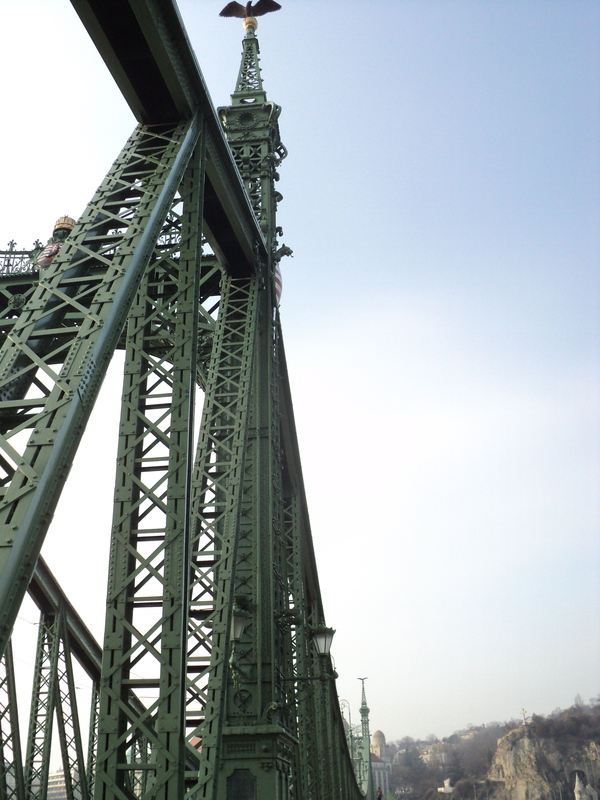 Several people had locked engraved padlocks to the balcony of the bridge. 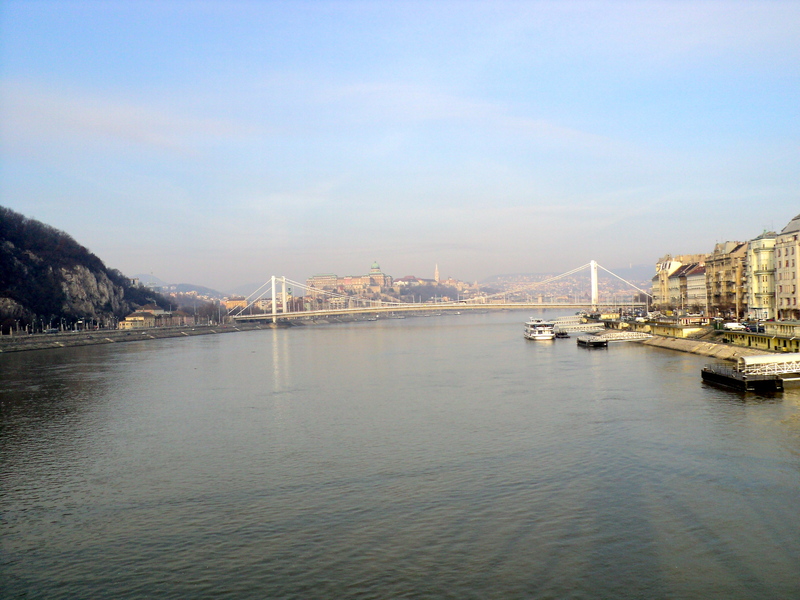 Looking North up the Danube towards Castle Hill and Elizabeth bridge. I have listened to this song about ten times this week. Their other music is equally good. Love the pictures! The music video disappeared? Really? It seems to be working fine for me. I have added another link underneath to the same song.